Today, I’m letting IBB designer JT take over the blog! I love his sense of style & passion for design. I never see him without a smile on his face & he & his clients are always having such a blast around IBB. It makes you want to join in on all of the fun! 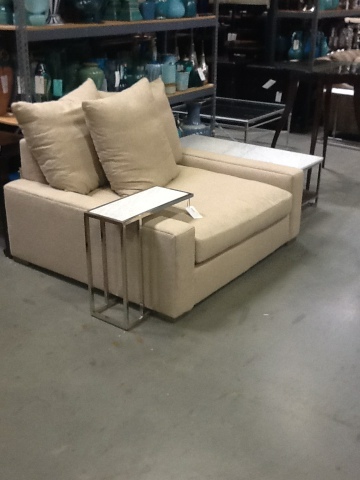 JT is going to share with us a few examples of the larger scaled furniture trends making a splash in the design world. Over the past few years we’ve noticed that building trends have been incorporating higher ceilings and larger rooms, ceiling heights are anywhere from 12 to 25 feet, easily…and IBB has got you taken care of when challanged with furnishing these spacious spaces. Plus,I am totally obsessed with all the large scale items that have been arriving at IBB lately…these are a few of my favs. 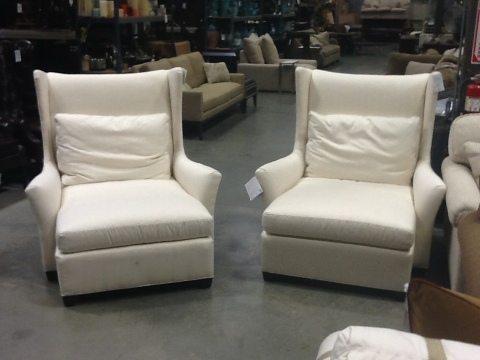 This pair of white wing Chaise/Chair hybrids are FABULOUS! First of all they are a blank canvas and could have any color introduced…Imagine popping turquoise throws and pillows on them, then nestle them on either side of a fireplace, so cozy and a perfect spot for a Sunday afternoon read. This one is equally amazing…I see three of these in a media room, with tables just like the one pictured at each…very chic…and this one comes with a slip cover just in case you jump and spill while watching that scary movie! 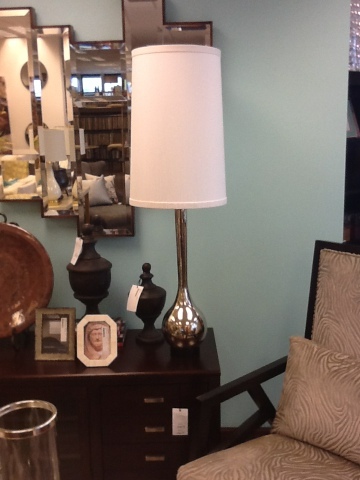 I LOVE this lamp! At over 50” tall it make a statement, the polished nickel and gorgeous white shade is just what you need to complete any space. I can see a pair of these on a tall console in an entry or behind a floating sofa. Bonus, it comes in a lush gold finish as well! OK, this is THE mirror! 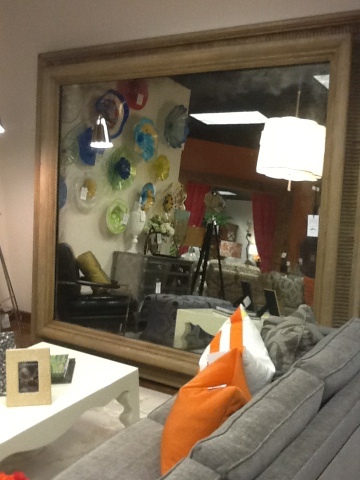 It’s really breathtaking…Formal Dining Room, Master Bedroom, Entry Way, Living room..in a loft downtown or a home in the suburbs… I can think of a million places to use this mirror and it will look absolutely gorgeous. It’s got a great finish and will be a statement piece, it’s so fresh but at the same time, I think it could add that certain something even to a very traditional environment…I’m really excitied about it. Stop by and see these colossal creations today! 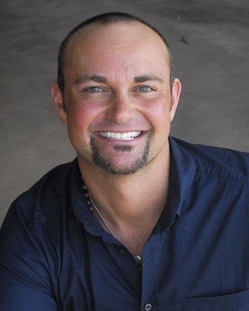 Passionate about design & specializing in the field for the past 14 years, JT has a working knowledge of all design styles. 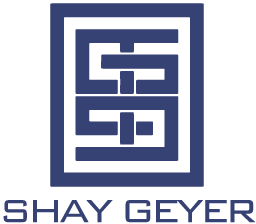 His work ranges from a top floor modern penthouse in San Diego, eclectic loft in downtown Dallas even a working cattle ranch in West Texas. This affection for all design styles, paired with being well traveled, has afforded him an unparalleled sense of style. Having appreciation of the simple elegance of traditional, clean lines and bold color of contemporary, to a touch of the exotic, JT helps his clients realize their own personal style. With his creativity and keen eye for detail, he reinterprets the classics giving them a new look and helping make your house a home with furnishings that will remain timeless.